Tyler is all giggles! She appears to laugh all the time, despite a serious and rare heart condition. While she was still pregnant, Tyler’s mom found out during a routine ultrasound that her baby had a heart that was not forming properly. They were referred to the Center for Advanced Fetal Care at the University of Maryland Medical Center, where the team told the family that Tyler had hypoplastic right heart syndrome and pulmonary atresia, which means that the right side of her heart did not develop normally. “I loved that all the doctors got to know Tyler even before she was born,” explains Tyler’s mom, Rhonda. She felt like the fetal experts, the pediatric cardiologists and the pediatric cardiac surgeon were all invested in making sure this little girl had a successful outcome. 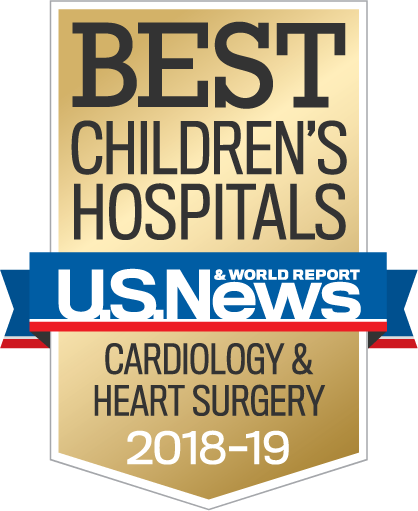 “Without intervention after she was born, Tyler would not have had enough blood flow to her lungs and would not have survived,” says Alicia Chaves, MD, of pediatric cardiology who is one member of the much bigger team that cares for Tyler. In just four years of life, Tyler has undergone three major open heart surgeries, performed by Sunjay Kaushal, MD. “These operations were a must if Tyler was going to live a long and healthy life since we needed to rebuild her heart so it could function properly,” explains Dr. Kaushal. Rhonda remembers that time vividly. “Dr. Kaushal drew for me pictures of Tyler’s heart and how he was going to fix it,” she says. She still has those drawings in a book of memories for Tyler about her journey. “I tell her you be proud of those scars. They are part of your story,” says Rhonda. And still Tyler giggles! And her family smiles too because she is here today, doing very well thinking about a career as a doctor so he can listen to people’s hearts with a stethoscope.